Apple has officially released the full and final version of iOS 9 Firmware (Build: 13A344) and Xcode 7 Software (Build: 7A220) for iPhone 6S, iPhone 6S Plus, iPhone 6, iPhone 6 Plus, iPhone 5S, iPhone 5C, iPhone 5, iPhone 4S, iPod 6G Touch, iPod 5G Touch, iPad Pro, iPad Air 2, iPad Air, iPad 4G, iPad 3G, iPad 2G, iPad Mini 4, iPad Mini 3, iPad Mini 2 and iPad Mini users worldwide for upgrade / update / manual installation. The Official Direct Download Links of iOS 9 Final Version .IPSW Firmware and Xcode 7 Final Version .DMG Files are available below. It's a tradition of Apple to introduce unique features and functions in all of its latest iOS release, so that people can get maximum benefits in terms of security, stability, performance and bugs fixes. 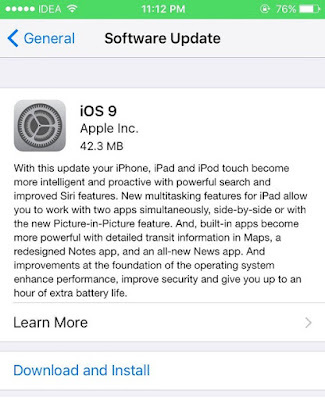 You can read full changelog of iOS 9 final firmware in below image! 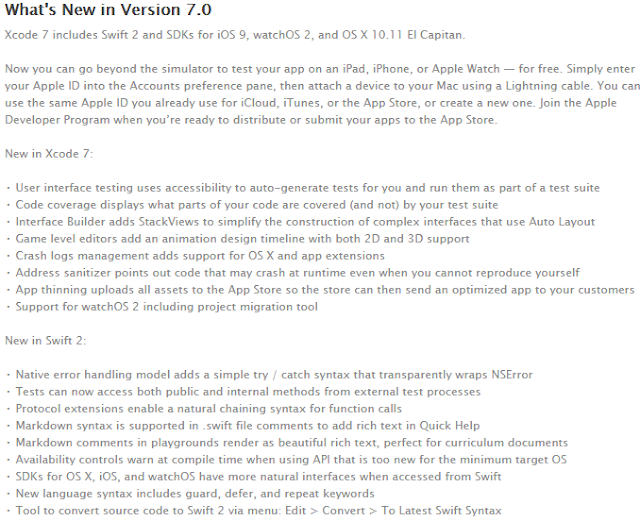 The newest Xcode developer tool version is also packed with several new changes i.e. Swift 2 programming language, iOS 9 SDK, watchOS 2 SDK, and OS X 10.11 El Capitan SDK. More you can find in image below! According to iOS-Jailbreak community sources, Apple has patched several exploits previously used to Untethered Jailbreak iOS Firmware's with Cydia Installation. So currently, it's not possible to apply TaiG, PanGu or PP Jailbreaks on iOS 9. How to Manually Install iOS 9 Using iTunes? Apple iPhone, iPad and iPod Touch device users currently running an old iOS 8.4.1 can get iOS 9 OTA Update with official firmware size of approx. 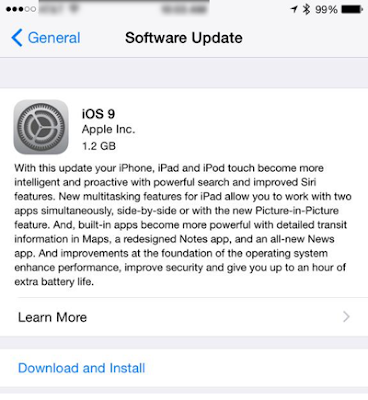 1.2 GB, while iOS 9 GM (Golden Master) firmware running users can get OTA of iOS 9 Final Version with an approx. file size of 42.3 MB. Apple iDevice users can instantly navigate to Settings > General > Software Update option of their Smartphone and Tablet device for latest updates. If you're still facing problems with Over-the-Air update, then you can Download iOS 9 .IPSW Final Version for iPhone, iPad and iPod Touch through direct official links provided below, and can perform Manual iOS 9 Installation with iTunes software.